Cloud-driven device built to help IT generalists and other non-specialized users recover client data from damaged or failing hard drives or SSD devices. Recovering data from damaged hard drives is easy! 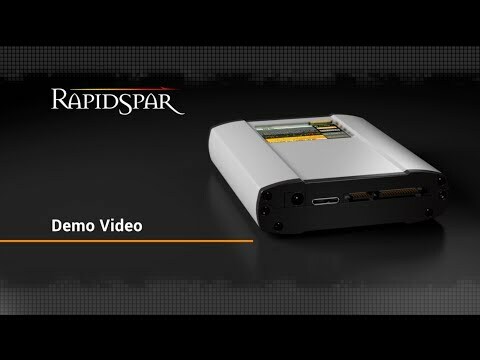 RapidSpar, developed by the Canadian company DeepSpar Data Recovery Systems, is the first cloud-powered data recovery device allowing data recovery from damaged or failing hard drives and SSD drives -- even ones that are not recognized by BIOS or USB docking stations anymore. RapidSpar is able to recover the data from ca. 50% of drives that would otherwise have to be processed in a clean room laboratory. RapidSpars purchased from the Turvamies Store come with our 24/7/365 support, in addition to the support provided by the manufacturer. Provide professional data recovery service to your customers! Are you the owner of a computer repair shop, home appliance store -- or any other company actively serving it's customers? Expand your business and increase your income by providing professional data recovery services in your area! You'll only need ca. 2 000 euros to get started. You can pay with monthly installments. 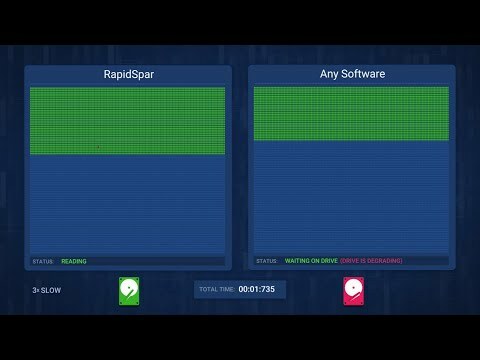 RapidSpar will pay itself back in no time! It's automatic and very easy to use. With our help, you'll be able to get everything set up in record time. We'll guide and assist you free of charge at every step of the process. If you want to, we can provide you with everything you need, including a professional job tracking system. The cash flow may start as soon as in just few days from when you start advertising. Advertising is important since many have the incorrect assumption, that data recovery is expensive. Good reputation creates more income; satisfied customers will spread the word of your service. If you encounter cases that are too tough even for the RapidSpar to handle, for example hard drives that require a head swap, you'll have access to Turvamies laboratory services so you can provide your customers with full scale professional data recovery service. You will of course get a nice provision from lab recoveries too.